Welcome to something completely new for this blog! As we both were reading the same book for the Africa challenge, Alex from The Sleepless Reader agreed to discuss it with me (please do click through and say hi to her!). So instead of my thoughts alone, you get to read our conversation — which turns out to be much more interesting, if you ask me! The story: a successful businessman, well-known and respected on the whole island, when he dies Mr Napumoceno leaves a 387-page last will where he tells his own story. Through those pages, and through the reactions they generate in the people who knew the man and are affected by his will, we get to know a different face, a different man altogether from the one publicly known. Me: It is interesting that you cite Marquez, because from the start I kept comparing The Last Will to his Chronicle of a Death Foretold, if just for the structure: the death (or the last will) of a man is the excuse to tell different histories about several people in a close society. But I feel the parallelism (if there is one) ends there. To me, it did feel more like another African novel I read, Mia Couto’s A River Called Time, which was my first experience with African magical realism — and while there is no magical realism in The Last Will, the society feels very much alike. But I do see what you mean, and I do agree that in a way all of them talk about closely-knit societies and how they influence the type of characters that live in them. First about the ending, I wasn’t surprised because I assumed that over time the “affair” slowly came to light, it’s just that Carlos expected the money to go only to him. We are told even her husband knew, and Napumoceno’s regular rent must have become suspicious. About the way the village saw him, I spend long months of my childhood and early teens in a small village in Serra da Estrela and I recognize those “mood swings” as typical of a close community. It’s very hard to forget that a stranger is a stranger, especially if the person is envied. It must be a very interesting society and I look forward to visiting it at some point (maybe in my honey-moon). (Did you know there’s going to be an Observatory of the Portuguese Language there?) 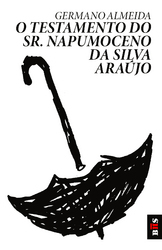 I felt Almeida, captured that peculiarity of the country well and subtly. Me: I love your interpretation of Napumoceno as a metaphor for the country, it fits perfectly! At the same time, I know too little about Cape Verde to judge (I had to go and check out history and geography on the Internet), but I think that parallel to that metaphor there may be another, less subtle one: Napumoceno as a symbol (or even as a satire) of part of the local society, struggling to identify themselves less and less as African and more as Westernized. Or am I just mis-constructing Cape Verdean identity here? I would love to know how the locals reacted to the novel — I’m sure there are inside jokes as you mentioned, but also because they have the first-hand knowledge of the place that we lack. Alex:That is also a great point! And I guess it can be applied to every country that was under some sort of restriction and then became infatuated by the wonders of the west and all its status symbols (Napumoceno’s car, the office gadgets). Regarding Adélia, I’m still convinced she’s the toothless old woman. We only see her described by Napumoceno and who’s to say he didn’t embellished her here and there? If the old woman is really Adélia, I can’t but to admire her pride and stubbornness. In the end, I think I was less impressed by this book than you were, but the best thing about it (apart from the witticism you mentioned) is that it can be read on so many level. It is just the story of a man who tries to overcome his poor origins. It is just the story of a man who basically missed each and every chance at happiness he had. And at the same time it is the social satire, and the reflection on identity, and probably many more things that we don’t see yet. Thank you Alex for your great input! I enjoyed the chance to discuss this book! To everyone else: Have you read The Last Will? Do you have anything to add? I’m more or less back. (Meaning: after all the traveling of December, I’m still not back home, but will be blogging more often.) Meanwhile, it’s the end of the year and everyone else has been publishing stats and projects… I have less than 12 hours to catch up. And I need to jot down my thoughts on the last books I read this year, wrap-up challenges, set down reading goals for 2012, compile yearly stats… not to mention finish one last book, prepare the dinner for New Year’s Eve and spend time with my family (who is right now chatting away in the next room). Let’s see how far I’ll get. As a start, here’s some very short thoughts about my latest reads. The book: The Last Cato, by Matilde asensi, in the Italian translation by Andrea Carlo Cappi, 483 pages. My thoughts: a quick and quite engrossing read, this book falls exactly halfway between The Da Vinci Code and Fucault’s Pendulum, as it can boast a conspirational plot while being neither silly as the former, nor too learned as the latter. The book: the “Short Guide to Great European Wines” is the chapter about wines from Alexandre Dumas’ Great Dictionary of Cuisine. It was published in Italian as a self-standing book, translated by Augusta Scacchi, 105 pages. My thoughts: rarely have I read something so useless. It seems written without a general plan, as if the author was simply jotting down any thought about wine as it crossed his mind. It may have been better inside a wider work, but I sincerely doubt it. Hidden (very hidden) jewel: a few nice anecdotes, like the story of the Est! Est! Est! The book: Erik Fosnes Hansen, Psalm at Journey’s End, in the Italian translation by Margherita Podestà Heir, 476 pages. My thoughts: this book is a little jewel, and I am sad that I don’t have the time to tell you more about it. It brings together the stories of very different men from different countries and different backgrounds, only put together by the fateful destiny of being aboard the Titanic in its first and last voyage. It’s like a majestic fresco, colorful and full of life and facets. It’s one of those books that make reading worthwile. Pet peeve: the Titanic is only a pretext to bring the characters together, and quite useless in the general economy of the book, as these are not the real musicians who were onboard, but other, completely invented characters. My thoughts: this book is very African. Or at least I think it is, because it’s so far removed from my own feeling that I could only scrape its surface in terms of understanding. It’s strange and different, and while beautiful it remains full of things that are not part of any culture I know. Hidden jewel: the book tells a major story, interwoven with a second one which comes from manuscripts read by the characters. The publisher used a different paper with a different color and texture and a different typeface for these parts. The story: how three adventurers set off from South Africa to find the legendary diamond mines of Sheba, and the adventures that follow. The part with spoilers: as with Journey to the Center of the Earth, I was disturbed by the first person narrative. If you already know that the protagonist will live to tell the tale, how are you supposed to feel the thrill of the adventure? What I liked: feeling like a child again. What I didn’t like: endless battle descriptions, violence and racism. Language & translation: I was amused to discover a translation mistake that I had heard about some years ago, and appalled at some other horrors, but as a whole the translation has strangely aged very well. In the author’s own words: nothing to say. Links to better understand this book: nope. Random thought: too bad we’re not going to South Africa this year! Read this if: if you are in your thirties and want to feel like you were a child again.